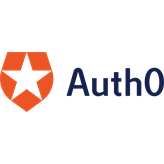 Auth0 is looking for experienced full stack software engineer to join Service Management - Administration Experience Team. This team is responsible for delivering exceptional subscription administration experience to our customers throughout their relationship with Auth0. The mission of this group is to bring comprehensive, trustworthy, and clear visibility into how a customer’s subscription is organized, consumed, and supported as a service. Are you passionate about working in a remote, multi-functional, multicultural team together with other software engineers, product designer and product owner - all living in different timezones? Do you have software engineering expertise, dedicated business driven approach to problem solving, self-direction, and a strong believe that the team can achieve more than each of its members individually? Our current technology stack is node.js on the backend and React on the frontend, MongoDB and PostgreSQL for storing data and RabbitMQ as message queue.